Guarantee yourself the peace of mind that comes with our Automatic Delivery service! 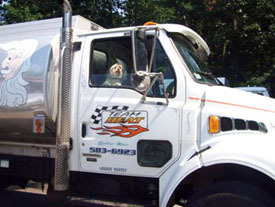 At Ludlow Heating & Cooling, we use technology-based software that predicts your home's individual fuel consumption patterns to assure your deliveries are timely. Best of all, this process guarantees that you will never have a run-out or emergency delivery situation, so you will stay warm and cozy all year long. Contact us for more information on our automatic delivery service at (413) 583-6923!